Test your skills as drivers, including tracking and manoeuvring skills, your loaders with health and safety and weight-lift challenges. 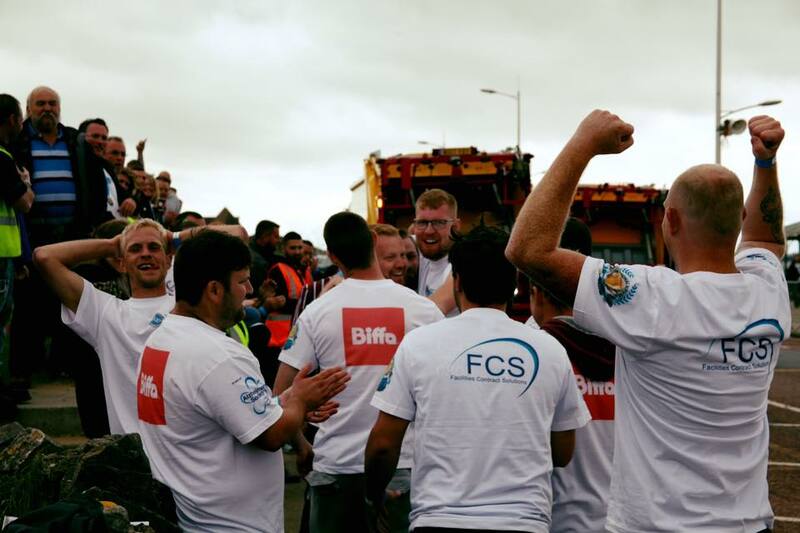 A highly competitive and sociable event The National Refuse Championships provides a great opportunity to recognize drivers and loaders for their effort and hard work throughout the year. Formerly known as the ‘World Refuse Championships’, this exciting charity event last took place in 1995 and many people in the industry recall how much fun these days-out became. Some of you may recall Jack Allen previously assisting to organise this event. 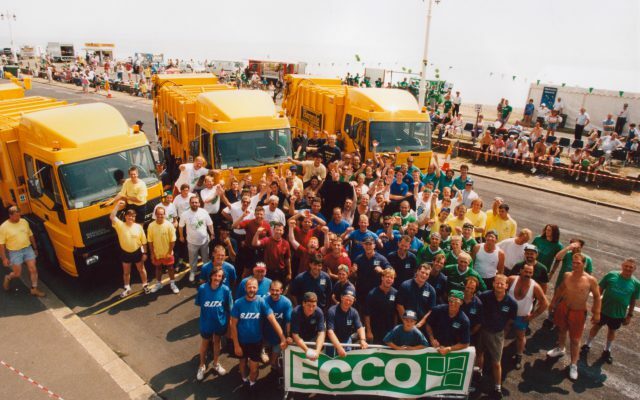 The Waste Industry has a tradition of holding summer events and exhibitions on the South West Coast of England and we hope that the ‘National Refuse Championships’ will become a regular fixture in the industry’s diary. Registration Starting 8am, Saturday 16th June, Competition starts 9am, Competition ends 4.30pm. Please arrive at the competition zone in plenty of time as it will be very busy. The competitions will last until around 4.30pm with the prize giving at 5pm. After which there is a Fish n’ Chips by the sea party, with the band Free Spirit playing into the night. Formerly known as the ‘World Refuse Championships’, this exciting charity event last took place in 1995 and many people in the industry recall how much fun these days-out became. This was in the days of Jack Allen etc. and it is hoped that some of the original founders will be coming along to the new ‘National Refuse Championships’ in June. 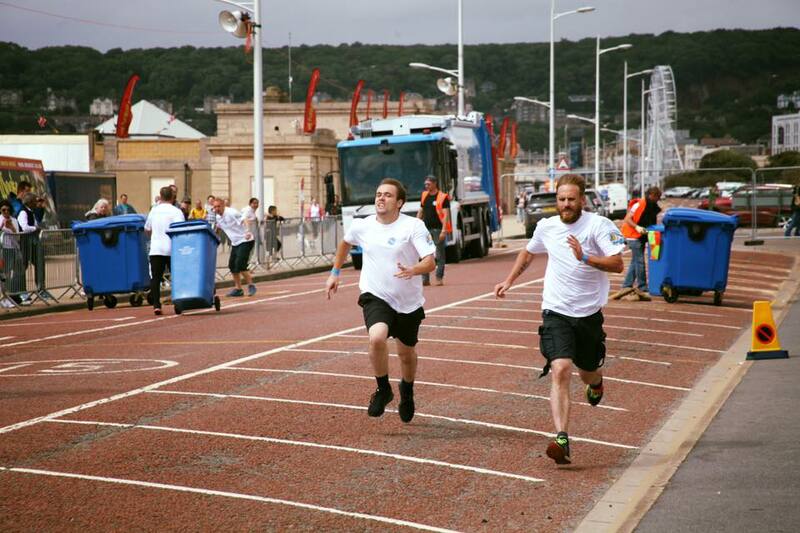 Each team comprises five people (including one driver) working in pairs and taking turns to run, load a large wheelie bin with sand and push it 50m to an awaiting truck to empty it. This gruelling process is repeated numerous times, as the truck moves in 50m stages towards the finish line. The race will start with a series of timed heats during the morning culminating in a final race between the two remaining teams in the afternoon. Are you good enough to clean-up the Top Prize of a weekend away in Centre Parcs for the entire team and close family? Plus of course, lift the National Refuse Champions 2018 trophy. 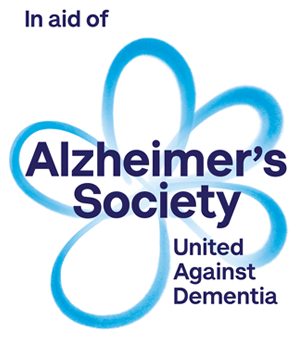 Until the day we find a cure, Alzheimer’s Society will be here for anyone affected by dementia – wherever they are, whatever they’re going through. It is important that we all raise awareness, and of course funds, to finance research into this debilitating disease and support the effected individuals, family and friends.